For those curious about this month’s book club selection, here below is a review by former executive assistant Emma Holland. 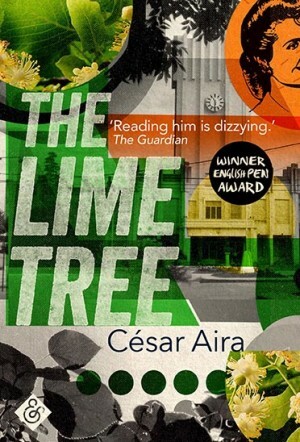 With Aira’s clever style, it seems that The Lime Tree teeters on the edge of reality. The novel hints at magical realism with the infamous tree, uses charming anecdotes to reflect upon society, quickly delves into the lives of the town’s characters before changing course again, and winds through different stages of the narrator’s childhood—all in continuous flowing copy in this short 106-page novel. As a reader, you’re drawn into this world that, while fiction, could well be a portrait of Aira as a boy. Early on, we meet the narrator’s parents—a quick-tempered father whose obvious physical beauty was cancelled out by the social stigma of his dark colour, and his mother, who was from a respectable white middle-class family, yet possessed a physical deformity and “grotesque” looks. We learn about the narrator’s family at a time of great social change, and how after they found themselves on the losing side of the Revolución Libertadora, they resided on the edge of town, occupying a single room in a massive house—“we had plenty of space, but with the proud dignity of the poor we scorned it,” the narrator muses. The family home was filled with the sounds of the radio or the constant chattering of the mother, meant to calm the father’s nerves. 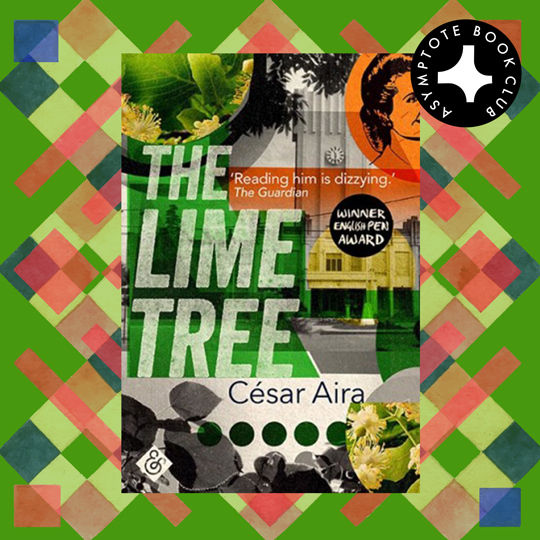 Just as this game reflects broader outlooks, throughout the novel Aira cleverly questions ideas surrounding class, race, image, time and social status. As we weave through different memories, the narrator questions his shaky sense of time, and suddenly the novel ends right back at the Plaza amongst the lime trees where the narrator reflects upon the nature of time and a nostalgia for his younger self.